Remember, remember the 23rd November, if you want to grab the best Garmin deals in the Black Friday sale. And if you do forget, then Cyber Monday is just around the corner on the 26th November, giving you even more time to bag a bargain online. Following the success of previous years, 2018 is set to be the biggest and best yet with some of the largest online retailers set to slash their prices on Garmin’s most popular devices. So, when you are full up on turkey from Thanksgiving, why not chill out on the sofa and get the holiday season wrapped up early this year, as you hunt online for the hottest deals. In the run up to the busiest shopping days of the year we’ve predicted which Garmin products are likely to have the biggest discounts in the Black Friday and Cyber Monday sales such as the Fenix, Forerunner, Vivofit and Vivoactive. By analyzing historical Black Friday Garmin purchases, we can make informed predictions about 2018 deals and with our live price tracker, we can keep you updated on any price fluctuations in the lead up to hottest sale. Getting from A-B has never been easier, quicker or more gas efficient than with a Garmin Nuvi or Drive GPS device. Leaders in the GPS navigation market, their range of devices include free map updates for the lifetime of the device and live traffic information. Plus, with their latest additions you can also expect industry-leading driver awareness alerts; such as sharp corners, level crossings or schools; and Garmin Real Directions, showing you street view images of recognizable landmarks as standard. Garmin GPS navigations are a wonderful gift to give at the most magical time of year. ​Whether you want to inject some focus into your running or step it up a level, a GPS running watch is the perfect training partner. Equipped to help manage your pace, keep a watchful eye on your heartrate, direct you as you pound the pavements and guide you through an interval session, these Garmin running watches offer advanced performance metrics to match any level, need or interest. Whether you want to be seen wearing the formidable Garmin Forerunner 235 or the high-tech Garmin Forerunner 935, these feature-packed watches are an affordable option when you purchase them in the Black Friday Sale. Check out our latest offers on Garmin Running Watches here. Following the announcement of their new fitness trackers, including a new version for kids, Garmin activity trackers are set to be hot products for gift-giving this year. Intended to educate and motivate you to a healthier more active lifestyle, there has never been a better time to purchase one. If you over indulged on Thanksgiving, there’s time to redeem yourself and get moving as these activity trackers will keep tabs on your steps taken, calories burnt and other useful health information. From the Garmin Vivoactive HR to the Garmin VivoFit Junior 2, these activity trackers not only look good but help you to feel good too. Cheaper than a personal trainer or a gym membership, take a look at our Black Friday deals. Depending on whether you use your bike as a form of transport, exercise or for fun, cycling is going through a boom right now and Garmin are the leaders in the pack when it comes to Cycling GPS technology. When your pedal is to the metal, an Edge GPS cycling computer can not only track your movements, but monitor your progress, speed, distance, heartrate and stop you from getting lost all – at the swipe of a button. It’s time to shop savvy this Black Friday, and pick up a deal on a Garmin Cycling GPS. 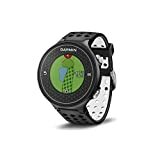 The closest thing you can get to having your own personal caddie, Garmin’s latest GPS golf watches not only keep track of your stats and scores but provide you with a birds-eye view of over tens of thousands of courses. Take the guesstimation out of your game with a simple swing of the wrist, because these watches can measure your swing tempo, calculate distances and alerting you to hazards, plus a whole lot more. These ingenious watches will take your golfing game to a whole new level, so tee off the New Year in style when you buy the Garmin Approach S20 or the Garmin Approach S6 this Black Friday. Whether you want to use a multisport watch for swimming, running, cycling or even walking the dog, Garmin will let you track your every movement. A fitness fanatic or exercise novice these watches are well equipped to measure your performance metrics and help you train to a healthier more active you. If you’re a runner or a cyclist, these watches can let you know your speed, distance, altitude and heart rate and for swimmers; these watches will calculate accurate distance, pace, stroke type and stroke count information. The perfect holiday gift, look out for Black Friday offers on the Garmin Fenix 3 HR and other models. If you like hiking in the mountains, exploring new trails or simply walking off the beaten track; with a handheld GPS device you can set out in search of adventure, safe in the knowledge that you won’t get lost. 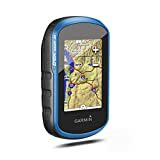 Whether it is helping you to navigate through poor visibility, leading you across unfamiliar terrain or assisting you to locate some hidden treasure, Garmin’s GPS units can be used when hiking, biking, climbing or geocaching. So why not set out into the great outdoors when you purchase one of Garmin’s latest handheld GPS devices in the Black Friday sale. There to make your life simpler; whether its cables and cases or map updates and mounts; Garmin have accessories for all types of devices. You can never too many accessories, especially when they are on sale, so find out our top picks in the Black Friday sale.